Solar Hot Water and Solar Pool Heating will take care of all their water heating needs. A three collector system will be perfect for their family and in-law tenants. Having Solar for your home not only saves you money but gives you peace of mind the energy you are producing comes right from the sun. 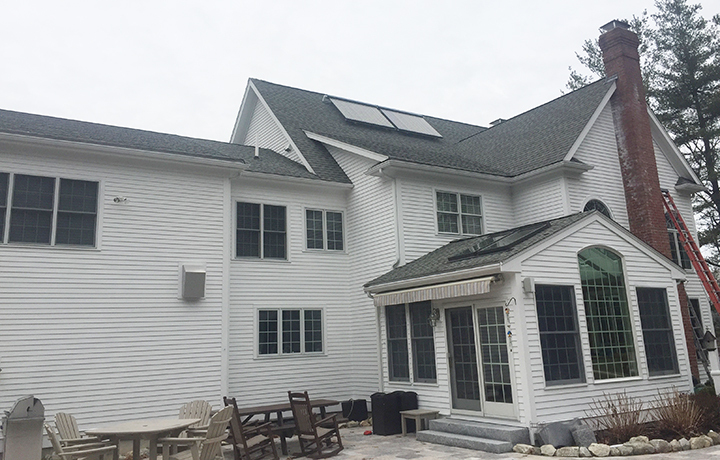 A Residential Solar Hot Water system is the most efficient way to save money on oil, propane or electric bills. Living in the Northeast you are going to pay for hot water one way or another. 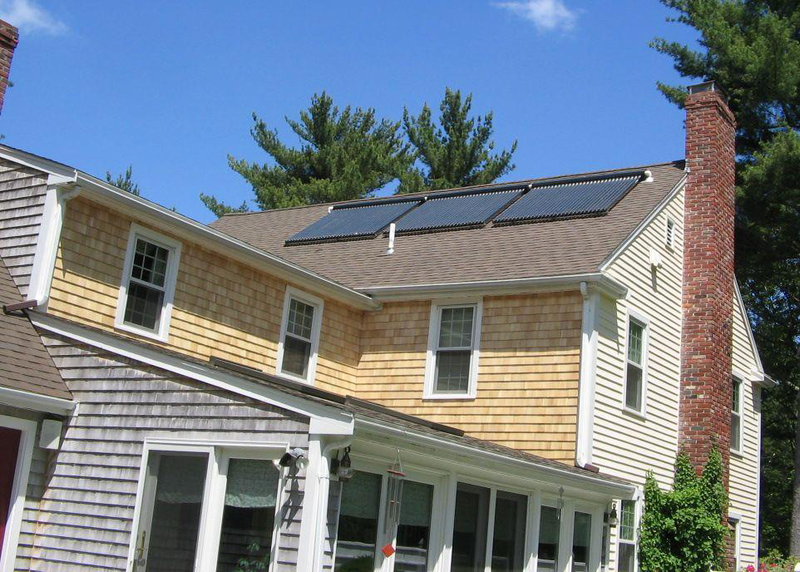 Installing a solar hot water system will cut your costs down 70%-90%. With government tax incentives and rebates offered through the Massachusetts Clean Energy Council, the system will pay for itself in only 4-7 years. Learn more about Rebates and Incentives. Solar Hot Water can be added to any existing system whether it be a gas fired water heater, an indirect tank or an on-demand unit. Solar hot water can also be installed as a one tank system for maximum efficiency with an electric element or top coil for a domestic hot water backup. There are many factors that go into the design of a system. Since not all homes are designed the same, not all solar hot water systems are designed the same either. These systems are customized based on your home and your family’s needs. Feel free to contact us for a free quote. We use the latest technology available to monitor our solar hot water systems. This monitoring allows us to watch the systems 24/7 and even adjust the systems from our office. The customer also has access to the monitoring website so they can view their collector’s production. I have been professionally involved in energy efficiency for 3 decades, but only last year finally decided to put up solar DHW on my own roof. I am pleased to be a customer of RES. The crew was great, professional. I’ve been enjoying the customer interface since installation; Solar Wave’s software really allows me to maximize the benefit. I’ve had a number of questions, some quite idiosyncratic, and Erica has been very helpful every step along the way. I have been involved with Solarize PV Programs and I think it would be great if RES ran Solarize SDHW version; SDHW is still so vastly under appreciated. Each year over 130,000 solar pool systems are installed throughout the world with half of these being in the United States. Solar pool systems keep pools warmer longer each season allowing pool owners to use their pool in the shoulder seasons when pools are often too cold. Propane and electric heaters are expensive to operate, maintain and repair. Many of our customers have heaters that no longer work and they are tired of fixing them just to end up with large bills from the utilities for the pleasure of swimming in their pool. A pool is a big investment and Solar pool systems help maximize this investment while reducing pollution and cutting down on costs. 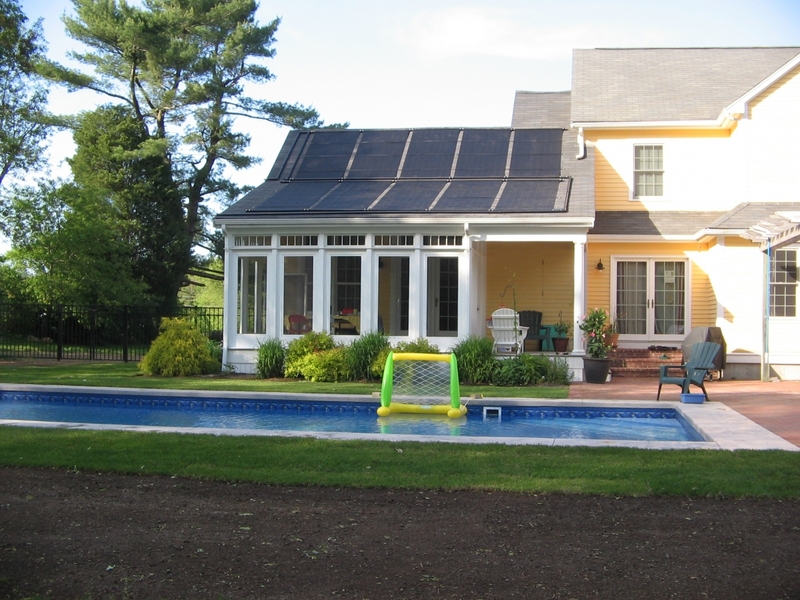 Solar is by far the most cost effective way to heat a pool in New England. They are low maintenance systems that utilize the existing pool pump and so do not require additional electricity. The collectors last for decades and the systems can be either stand alone or tied in to an existing heater if desired. Swimming pools gain heat during the day with the suns energy and lose heat at night mostly due to evaporation. More than 70% of heat loss is due to evaporation. This is why calculating the size of the solar pool system is directly related to the pool surface area not the volume of water. The recommended sizing for a target pool temp of 85 degrees is 50% of the pool surface area. For example, a pool that measures 16? by 36? would need 288 sq ft of collector or six 4? by 12? collectors.  If the collectors cannot be installed in a due south orientation a larger system might be needed. Indoor pools require a one to one ratio of collector to surface area because they do not get solar gain during the day. For winter pool heating flat plate collectors with a heat exchanger is the best method. 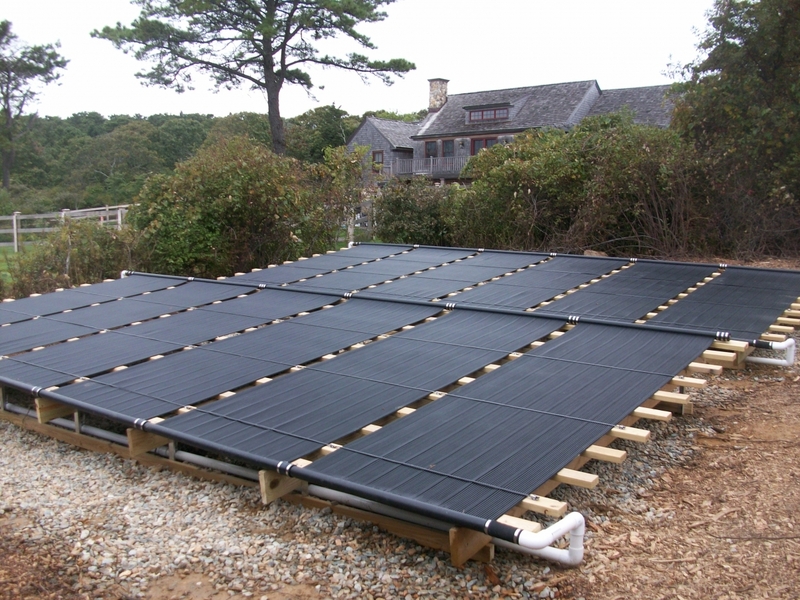 Solar pool heating is really quite simple. Pool water is diverted to the pool collectors where it is heated by the sun. The existing pool equipment is still used and a diverter valve is cut into the system so that when the collectors are warmer than the sun the pool will capture that energy. A differential controller is used with two sensors to operate the system. A temperature setting allows the customer to set a target temperature which will turn off the system once it has reached the correct temperature. At this point all pool water flows back into the pool, leaving no water left on the roof. Installations generally take only two days to complete and only the best stainless steel hardware is used for attachments. All solar pool systems are installed to handle winds of 130 mph which is far above local code requirements. At the end of the season the connections to the pool equipment are drained and pool anti-freeze is put into any trenched lines to protect against freezing damage. The collectors are installed at a slight pitch to allow for proper drainage so they can remain on the roof throughout the winter. The average cost of a solar pool system is similar to a conventional fossil fuel heater but will provide years of ‘free’ heat from the sun and will pay for itself in a matter of 3-4 years with no utility bills, ever! 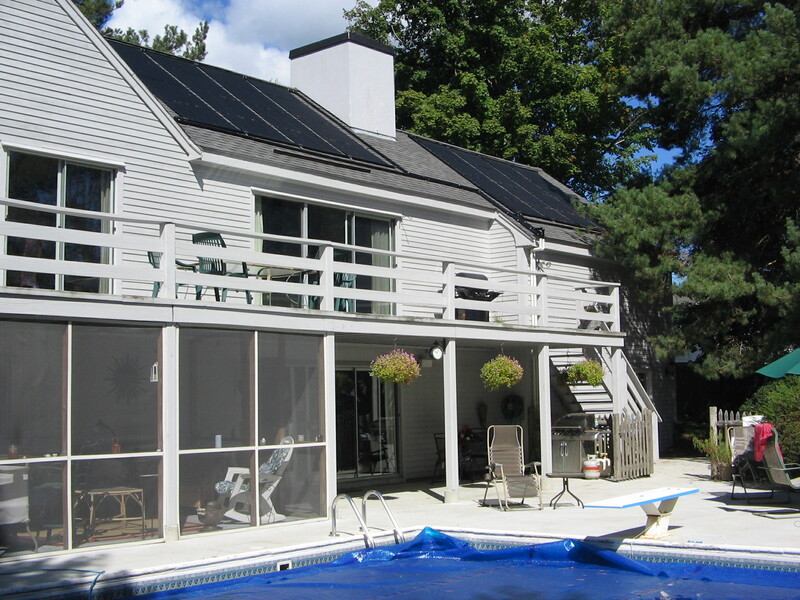 RES Solar offers a solar pool closing service for customers each fall with a full warranty. RES also provides do-it-yourself customers with a detailed pool opening and closing checklist. For a free solar site visit contact us. Solar Hot Water heating is an excellent way to bring Radiant in floor avodart heating-the most comfortable and efficient form of heating together with renewable energy. Our systems are custom designed to heat any size space from a single room or garage to multiple zones throughout the home. RES offers turnkey systems with the radiant flooring systems and solar components. They can be “solar only” or tied into the homes existing boiler or water heater. Fan convectors can also be used for an alternative to radiant. These fan convectors can be directly heated with the solar collectors or in line with storage. All of our solar heating systems can also be designed as combi systems providing hot water as well. The Federal tax Credit (ITC) is applicable if the solar supplies at least 50% of the heat load requirements for the space. This can significantly reduce costs. Polysun Energy modeling is used to determine sizing and anticipated solar fraction as well as fossil fuel savings. Although RES specializes in Solar thermal we offer Solar electricity (PV) as well. We have great, professional partners, such as SunPower Energy by E2 Solar and Gexpro Energy Solutions. Both Experienced turn key PV installer with a territory throughout New England, Cape and Islands. Solar energy takes the sun’s power directly from your roof to deliver energy to your home. Using specially designed photovoltaic (PV) cells designed with the latest technology the sunlight is converted into direct current as the sun is shining throughout the day. Then this direct current is converted into alternating current through an inverter that will power your homes electricity. Solar electricity or Solar PV is clean and silent. Why? Because the only fuel they use is energy from the sun. PV systems don’t release any air or water pollution into the environment or diminish natural resources. The cost of energy is on the rise. Over the last 10 years, many parts of the country have seen an electricity price increase of 10% or more per year. By investing in a Solar PV System that provides your electricity, you have a guaranteed investment return. You could spend $10,000.00 on a solar PV system and could produce over $45,000 worth of electricity over the next 10 years.